There’s almost a throw-away comment in my last article, The Internet and the Office Roof, “I was prepared”. We all knew about the St Jude storm and we knew fairly well when it was going to hit. But what does “prepared” mean? What did I do and what do I have that made me well prepared? Loose objects outside are problematic. They can get blown around and damage themselves, other things or simply get blown away. So the day before the storm I had a wander around. Bins are a classic problem but ours have a little pen they live in and I thought them safe. Garden furniture is another problem but ours is folding, so I collapsed it all and weighted it down. It’s quite heavy so in that state I was confident it wouldn’t budge. I also surveyed the structures around the house – the decking, the fencing, the bin pen, the Wendy house. Were these in good condition? Were there any parts loose or vulnerable that might need fixing down? I took the time to draw some water into the camping container. Some large scale power outages were possible and there are a lot of electric pumps in the water network. Although we didn’t lose water there were disruptions nearby. Rechargeable devices are great, but useless if they’re not charged. So the day before the storm I made sure that everything that I use and all out battery packs were on charge well in time for the storm. I had a good look at the house too – did everything look in good order? Again anything loose or vulnerable could cause big problems. Chimney pots for instance are pretty big and heavy, you don’t want a loose one crashing through your roof. An “A” rated freezer like mine is a far better place to store cold food – even if it’s turned off – than a cool box. However the greater the thermal mass in the freezer the longer it will remain frozen. If you have a load of cool blocks it’s worth chucking them in the freezer a day or two before the storm (which I did). I always keep a stock of tinned and packet food in as well because this is the country and things happen. A few days worth of relatively nonperishable food is a good thing to have regardless. I make sure that I always have rice, lentils, dried egg noodles, soy sauce and spices. You can make a stir-fry with all sorts of things, most notable vegetables which you can store for a good period of time without a fridge and you can always make lentil curry. I have a lot of camping gear – stove, lights etc. I made sure they were all easily accessible. It’s nice to have a kettle rather than just boil water in a saucepan, but it’s by no means essential! A lot of camping things are battery powered rather than rechargeable so I make sure that I always have a small stock of (the right) batteries. Three of my favourite (portable) lights are these. 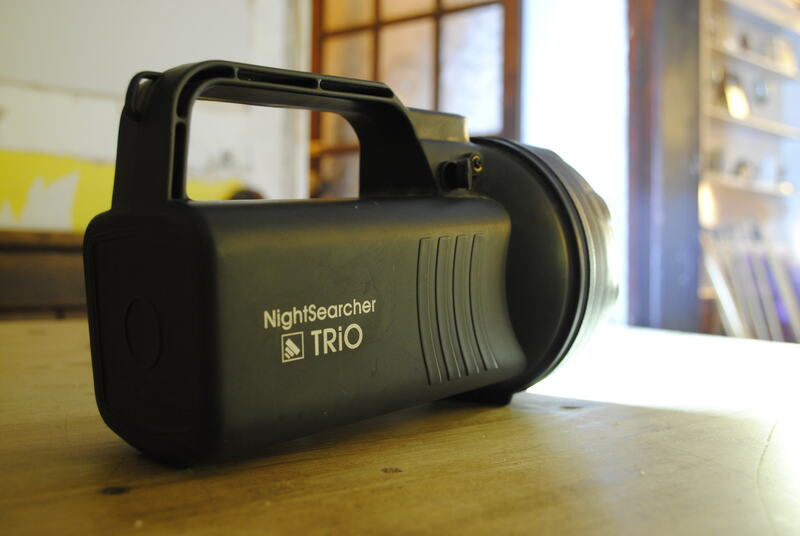 The NightSearcher Trio is available from a number of places. 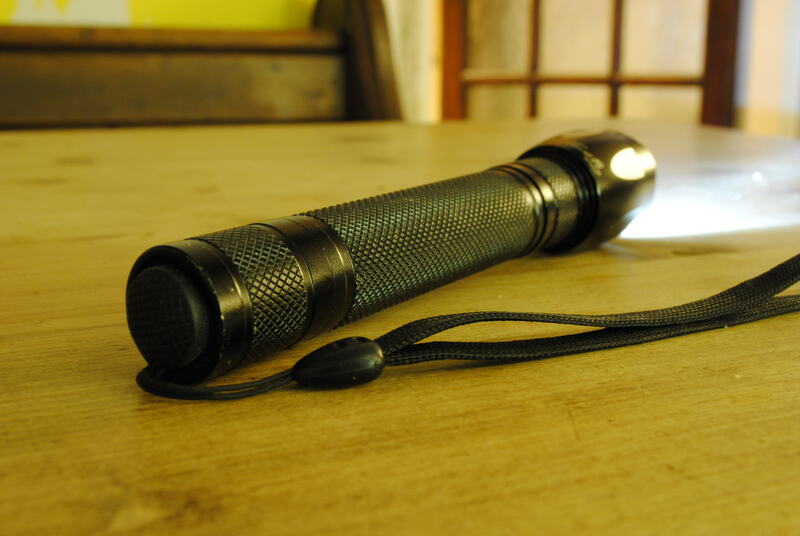 It’s a rechargeable LED torch and it’s exceedingly bright. It has a big handle that’s easy to grab and a flat bottom which means that it can be placed upright – pointed at the ceiling. In that mode it will happily light an average sized room. It claims to work for up to 23 hours. I can’t vouch for that but I can vouch for the fact it lasts many hours indeed. The Ultrafire Q5 is another torch, but it’s a pencil variety. It can run off its own special battery (expensive) or a pair of AAs. It’s nothing like as bright as the Nightsearcher but is pretty impressive for the size. 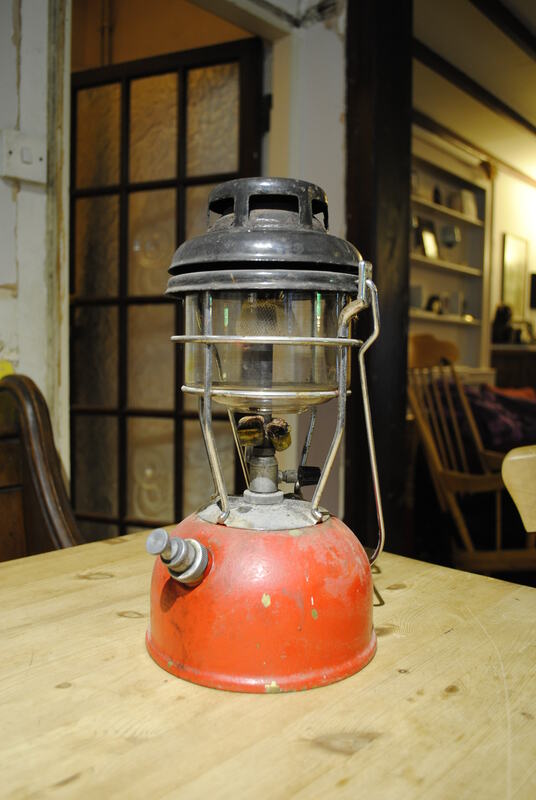 A Tilley Lamp – this is a pressurised paraffin lamp so you really need to know what you’re doing to use (and maintain) one of these safely. 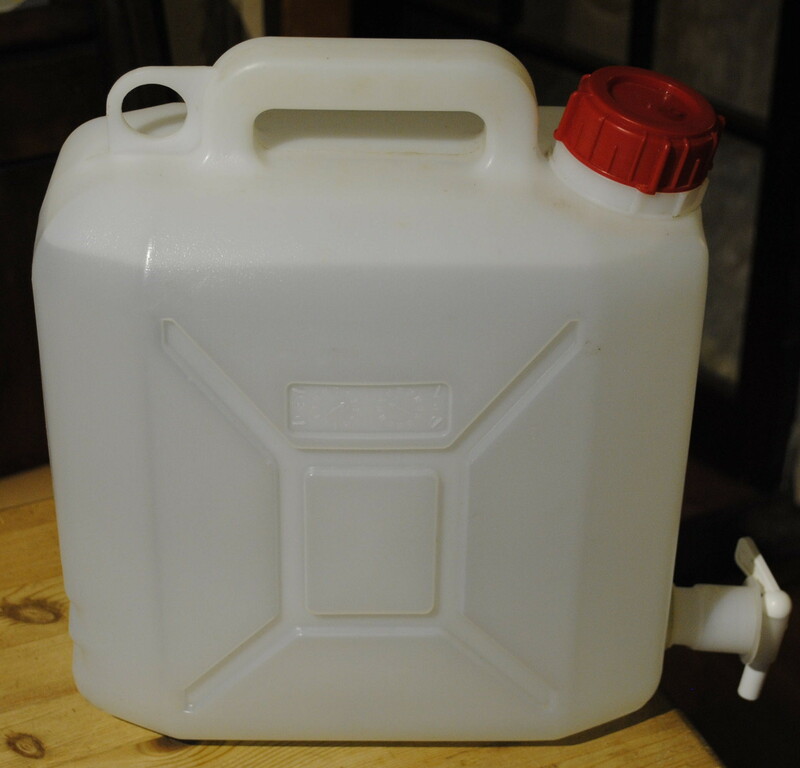 It throws off a reasonable light and will last several hours on a tank of paraffin (kerosene). Its big advantage is that it also throws off a lot of heat as well so if you’re stuck with neither light nor heat it’s ideal. The most dangerous thing about these is getting one lit. After that – with reasonable caution – they’re safe to use indoors. 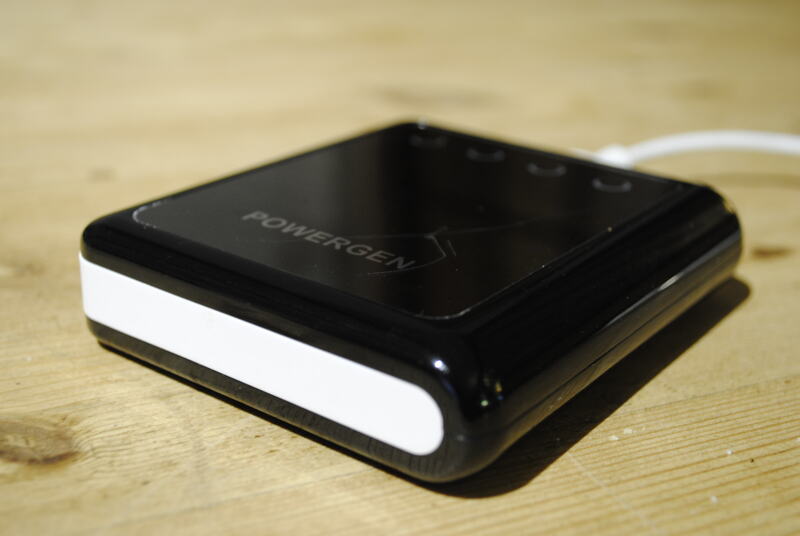 The Powergen is a mobile phone power pack. It’s essentially just a battery with 3 USB ports on it that provide power. It also has a LED torch on it. It’s good for about 4 charges of a modern smartphone. 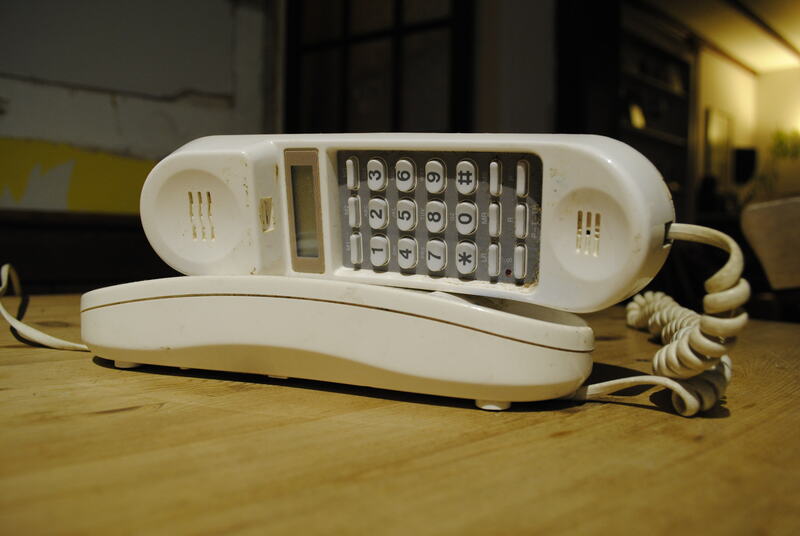 A corded telephone – when the electricity fails generally a cordless phone base station stops working. The resilience of the UK Telephone network is actually quite good and the chances are that even if the power is out the phone will actually still work – as long as you have a phone that doesn’t need any power other than from the phone line itself. This particular phone lived in a workshop for years, hence the sawdust. 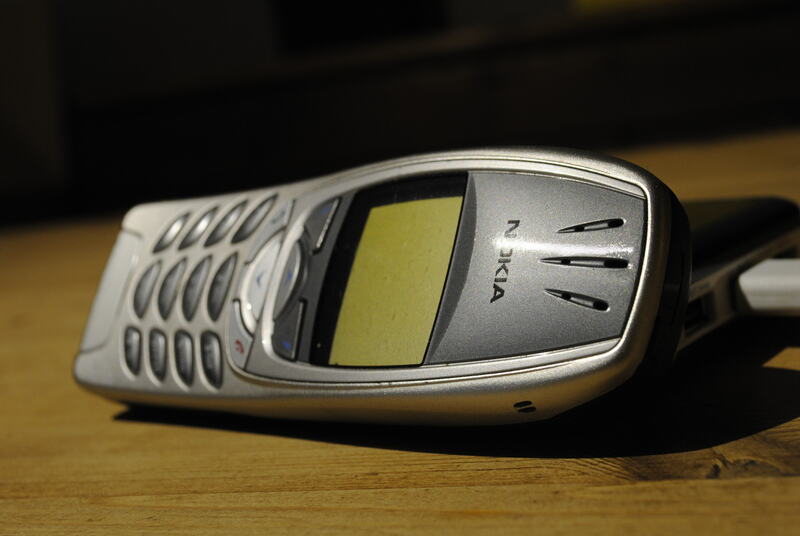 A Nokia 6310i. It’s an old, stupid mobile phone but from a disaster-coping view it stands out in 2 ways. The transmitter and receiver on this model were particularly good. It has a genuine 3 week standby time. This gives me a pretty good chance of being able to communicate even if everything else goes wrong – and for some time too. Although I still have to sit on the office roof (or walk up the nearby hill) to use it. 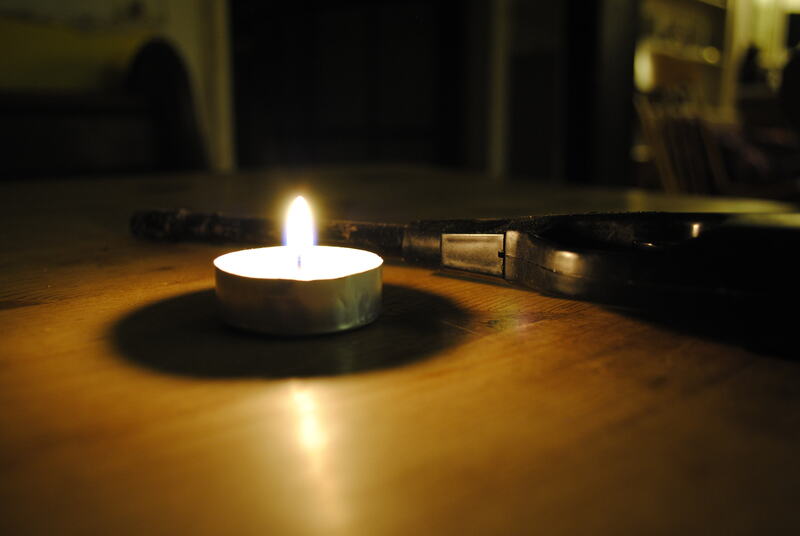 Tea Lights – small self-contained candles that apparently can last up to 8 hours. They last 4, but they’re cheap and can be used relatively safely without the need for candle-sticks. A 12V power pack. 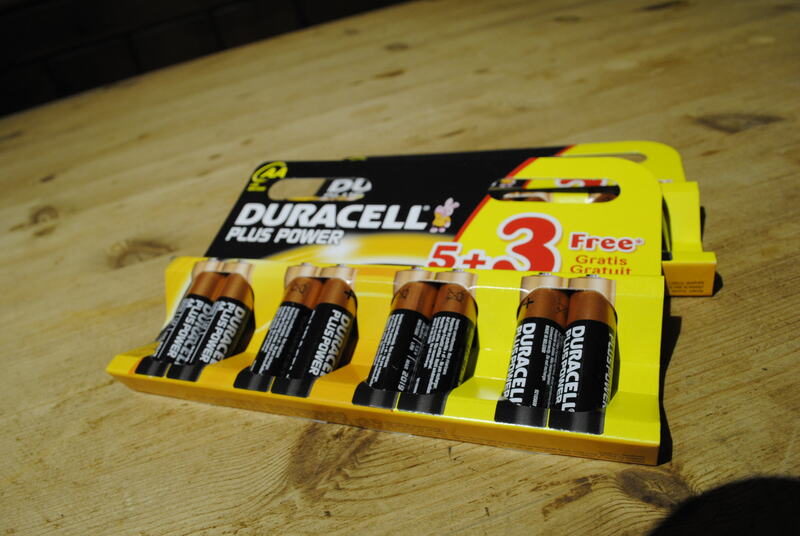 These are actually designed to start cars that have a flat battery but they come with a range of accessories, notably torches and car accessory sockets. We have one primarily to keep our smart-phones topped up for a week or so when we’re camping well away from power. There are a lot of things you can run from a car accessory socket. 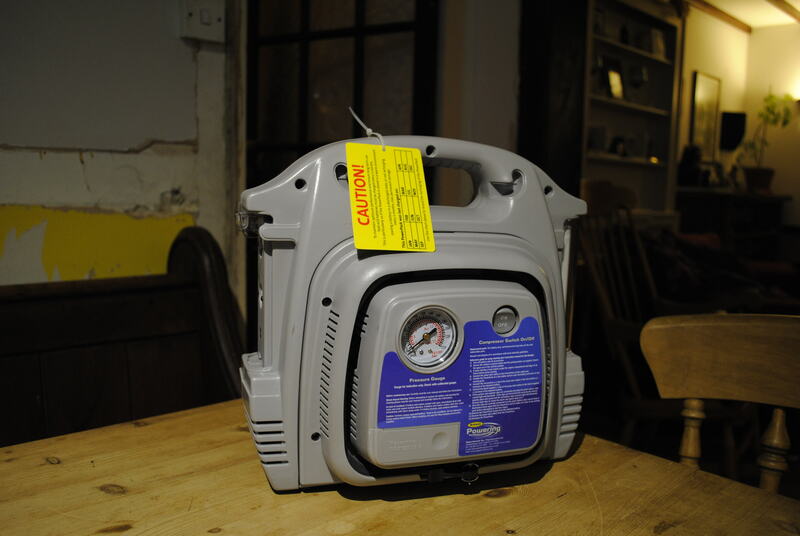 Some power packs even have inverters so you can use normal household appliances with them (although probably not for long). 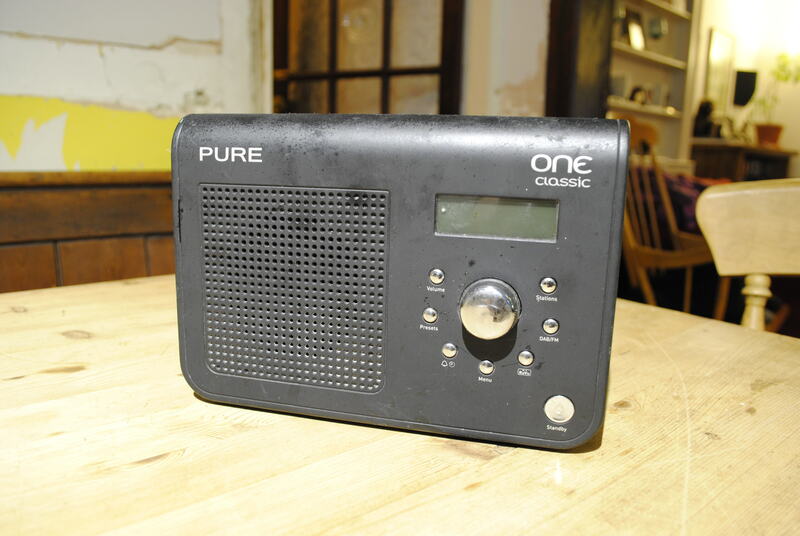 A battery powered radio – in this case actually a DAB and FM / AM radio. Local radio is often the most reliable source of information when all other forms of communication are failing. 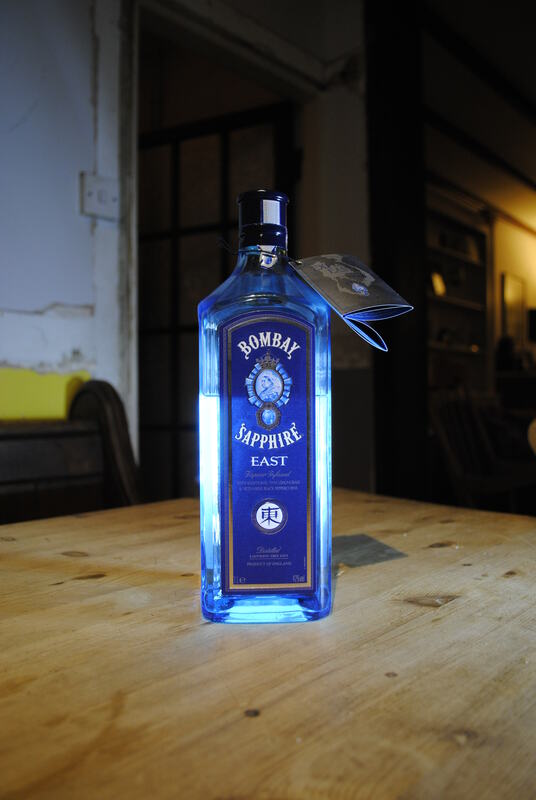 Gin – it’s good for cleaning wounds and in dire circumstances it can be used as fuel. Apparently some people drink it, too. Half of your county might be without power but the rest of the world doesn’t stop. You’ve got to try to continue to work as best you can. Naturally I have back-up plans. My main machine is a high-end laptop with an SSD that I normally use docked. This has two advantages. It’s effectively its own UPS. I’m mobile. I can work anywhere I can put the laptop down without having to move a lot of stuff. I have a good quality laptop backpack bag. This means I can cycle easily with my laptop – useful if for whatever reason the car in unavailable or, let’s say, the local roads are strewn with broken branches, fallen trees and other debris. I did consider getting a mobile broadband deal but I end up without Internet / WiFi so infrequently that it just makes no sense. For the amount that I need it I can tether my phone instead. My parents-in-law are in easy cycling distance and they’re on a different telephone exchange and use a different ISP which means that the chances of the Internet failing in both locations is fairly small. There are also (actually) a few WiFi hotspots in the local town and there’s another town that’s not too far away that has loads. I have a SIP phone which means that I have a telephone – the same telephone – wherever I can find some Internet with half reasonable bandwidth. This entry was posted in Life on 2013-11-04 by Tom Fosdick.